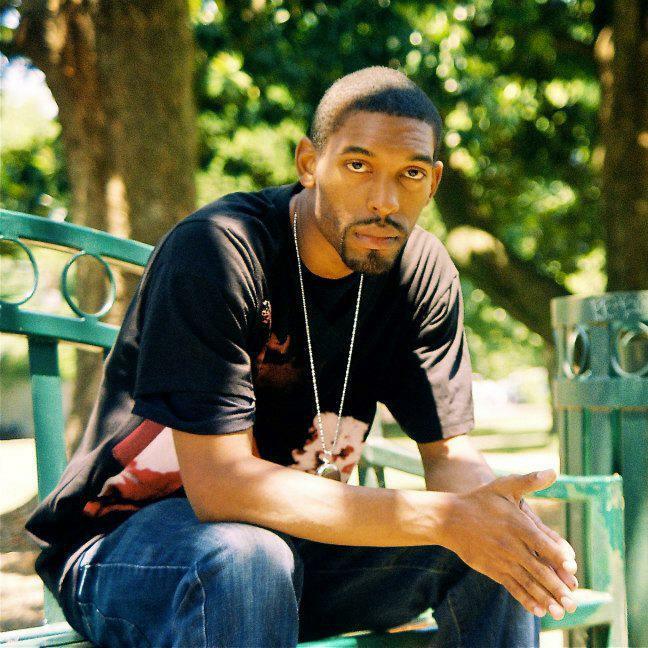 only 2 more interviews to go in the long-running series focusing on Pete Marriott‘s new album #REALHIPHOP, featuring emcee Jermiside. JERMISIDE: I’m Jermiside. Rapper/Producer & Lessondary Crew affiliate. Lover of all things creative. 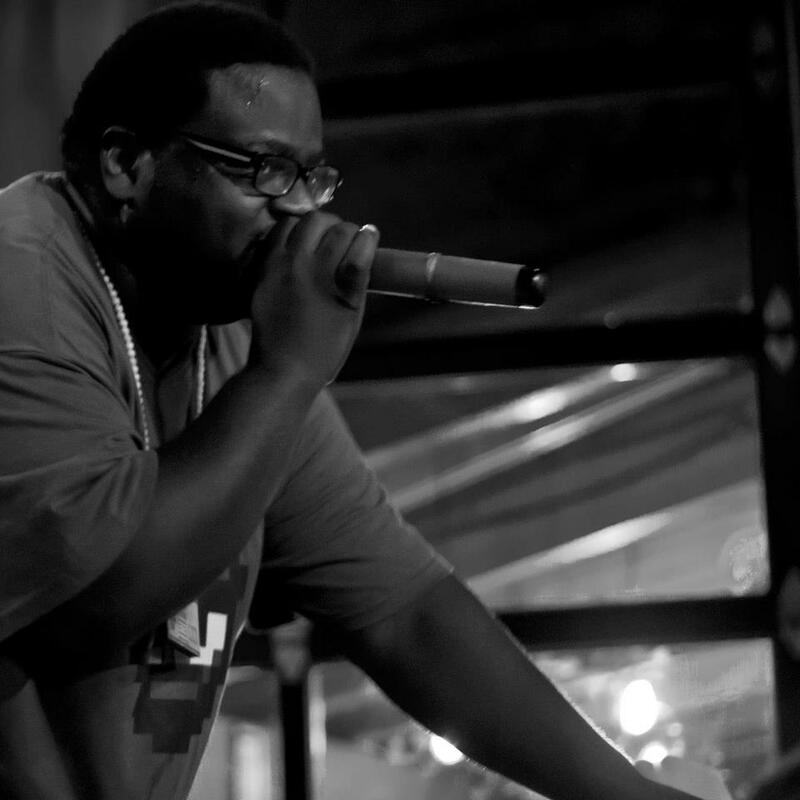 JERMISIDE: This track came about from me having a good working relationship with the homie MegaRan. If I remember correctly Ran hit me up with the track and asked if I’d like to jump on it and if anybody knows me I’m always up for a feature. Its funny you ask this question because I had forgotten me and Pete were label mates for a short stint. I did 8 bars for a remix of his song “The Champ is Here” a while ago. JERMISIDE: My writing process as of late is just sitting down with the track and seeing where the music takes me, sometimes people already have a concept in mind which is cool because it makes my job easier. I’m actually trying to get back to writing without beats like how I started, just to focus more on my lyrics. 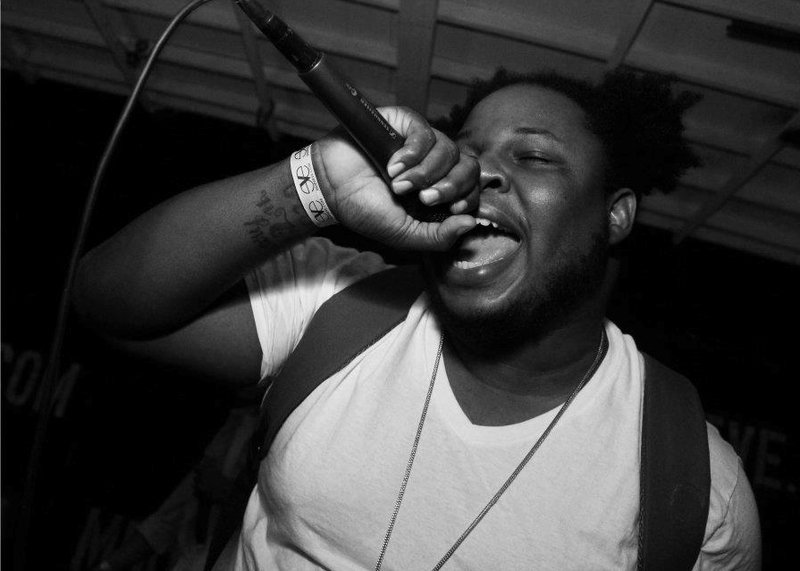 JERMISIDE: Real Hip-Hop to me is genuinely expressing yourself in hip-hop form. My definition really has nothing to do with how it actually sounds. Like for example someone might say Migos isn’t real hip-hop BUT to me they are. They came in the game with a unique style, they care about bars & delivery, they’re hungry, its more the intent than the content if that makes sense. JERMISIDE: Freddie Gibbs & Madlib “Robes” and anything by Tall Black Guy. after a brief respite, we’re kickin on with the last handful of interviews with the featured artists offa Pete Marriott‘s solo LP #REALHIPHOP. JUNCLASSIC: Peace. My Name Is junclassic (one word all small letters). I Got Into HipHop By Rhyming In The Cafeteria And On Street Corner Cyphers In The Mid 90s. Found I Had A Passion For It and People Dug My Punchline Prowess and Passionate Delivery. I Found Writing As A Great Form Of Therapy. Thats What Kept Me Doing It Till This Day. JUNCLASSIC: Pete Did A Dope Mix For Me Called 7 Modes Of junclassic Back In 2011. He Dug My Work and Asked If We Could Collab. Once I Heard His Beatwork I Agreed Immediately. I Am Proud Of The Two Joints We Have On The #RealHipHop Project. JUNCLASSIC: Unless The Producer Has A Specific Topic In Mind, I Listen To The Beat and Let It Direct Me. Pete Let Me Do Me On Both Joints I Have On His New Project. “Foundation” Is A Political Joint, Speaking On The Ills Of Society From The Consequences of Global Warming To The Prevalence Of Self Hatred In The Hood. “Gotta Get It” is More Of A Celebratory Song With A Dope Bounce To It. JUNCLASSIC: Real Hip Hop Is Hip Hop Done From The Heart. Its Not About Posturing Or Spitting What You Think People Want To Hear. Nowadays I Think You Can Hear The Difference. Real Hip Hop Is For People Living and Dealing With Reality, Not Fantasy. JUNCLASSIC: “Broken” Featuring Scarface Off The Pinata LP With Freddie Gibbs and Madlib. That Beat Is So Soulful. And It Was Dope To hear Gangsta Gibbs Talk About Stuff Outside Of Being Gangsta, Like His Estranged Relationship With His Parents and His Father Being A Crooked Cop. Gives The Listener More Understanding As To Why Gibbs Got Into That Gangsta Sh*t.
JUNCLASSIC: Thank You For This Interview. Huge Shout Out To Pete Marriott. I Describe His Beatwork As A Hybrid Between Pete Rock and Timbaland. Yep. He’s That Unique. And Dope. You Can Peep My Music At junclassic.bandcamp.com. Also soundcloud.com/junclassic. 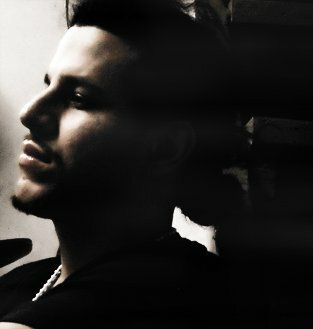 Get At Me For Bookings and Features Via twitter.com/junclassic. Stay Up. Peace. switching gears a little bit, i got to chat with Mr. Barry Corliss, who worked with Pete on mastering the #REALHIPHOP LP. BARRY: Hi. I’m Barry Corliss. I own and operate Master Works, a mastering facility in Seattle, WA. After many years as a musician, I put together my own studio in the mid 90’s. I was an early adopter of the new digital technology, and I was one of the very first people in the Northwest to be able to make a CD. My musician friends, who were making recordings in local studios, came to me to make CDs of their projects. They asked if I could maybe do a little mastering while I was making the CDs. It quickly became apparent that mastering was my true forte in music. I decided to stop playing and focus all of my energies on one thing, mastering. For several years I worked out of my home studio. In 1997 I opened Master Works in Seattle, and have been at that same commercial location ever since. Why do I continue to pursue it? You know… music is something that is in the blood! What else would I do? BARRY: I started working with Pete Marriott in 2011. We got along really well. Pete was making fine tracks, and the listener response was very positive. Many years of Pete‘s hard work have led up to #REALHIPHOP‘s release. It didn’t happen overnight! VEE: what is your mastering process like & how involved do you get with the producer when working on the finished product? BARRY: My mastering process is something that has evolved over the last 20 years. It is my personal method, rooted in my concept of good sounding music. I don’t use any software plugins in my mastering. I use high end analog and digital outboard gear. I prefer the sound quality I achieve using these tools. I’m not a believer in gimmicks in the mastering process. I don’t believe in heavy multi-band limiting or compressing, I consider it unmusical. In fact, I never compress hip hop! Compression reduces the dynamic range of the beat, and that’s not something I want to do. I have my own techniques for achieving loudness and impact without sacrificing the breathing dynamic of hip hop. How involved with the producer do I get? I’m not a mastering guy who takes whatever you give me, does something to it, and shoots it back. If I think that a remix or tweak will significantly improve the final product, I’ll say it. Often specific issues are better dealt with in a remix, rather than with a “fix” in mastering. The bottom line is always the best possible end result, no matter what it takes! I’m fortunate to have worked with many talented producers and artists over the years… Jake One, Macklemore, Blue Scholars, Vitamin D, Amos Miller, Pete Marriott, and many, many more. I’ve learned a lot from them and their projects. 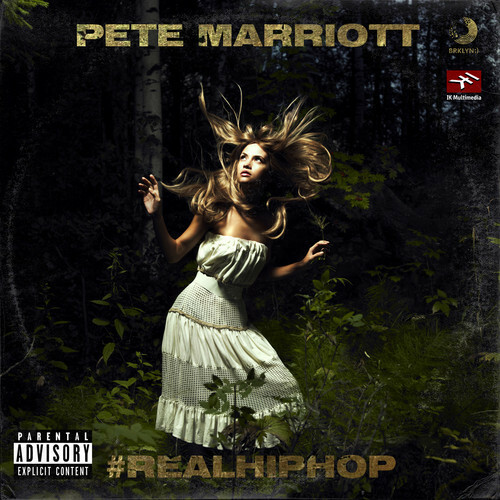 BARRY: Why, Pete Marriott‘s #REALHIPHOP of course! VEE: last but not least, where can people go to request you for work? BARRY: I have a website: http://www.master-works.com that is a good starting point. 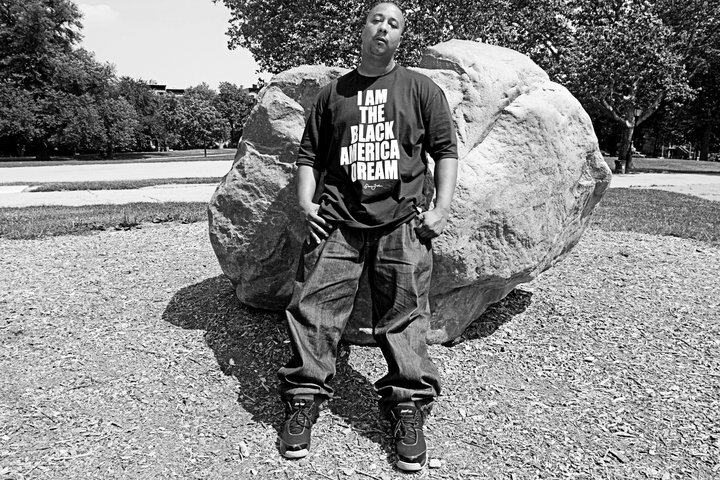 next up in our series of #REALHIPHOP interviews, we bring it in right with emcee OTOMATIK. OTOMATIK: It is a pleasure to be here with you Vahe and part of #REALHIPHOP, so thanks again to you & Professor Pete Marriott! I’m Ozdille’ The Otomatik. Everything in my life connects me to Hip-Hop. From seeing my uncle kill the floor on Beat Street to my best friend being the super talented DJ Joe Black. Unforgettable cyphers with my brothers to reigning victorious in challenging battles, to the inception of 6 Line Records. Hip-Hop has been and always will be my life. What drives me is growth. OTOMATIK: Time stops, of course not literally but i am in an impenetrable zone. It could be fifteen minutes or five days. Once that clarity sets in for the record let me do what it do 😉 I am usually producing my own work but in this case I let Pete send me what he thought I would be dope on. A little suggestions here and there from The Professor but I was trusted to do what I do. OTOMATIK: The evolution of you with a hot flow on a dope beat. Nothing more. Nothing less. OTOMATIK: There’s good music out there I respect but my wig is intact lol. OTOMATIK: soundcloud.com/listentootomatik or soundcloud.com/remixahhremixx, email at theotomatik@gmail.com & iTunes Search Heart & Lyrics. next up in our series of #REALHIPHOP interviews, we chat to Carys Matic, who ends up closing out Pete‘s LP with a poignant spoken word piece that sums up the overall themes of the album, and leaves us with a tingling sensation once the final bits of vinyl scratches complete the journey. take a squizz. 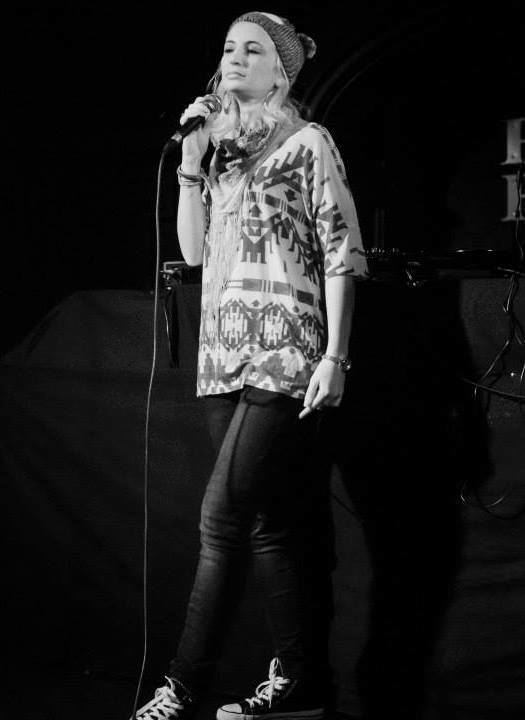 CARYS: My name’s Carys Jones, AKA Carys Matic, and I’m a poet/musician originally from the UK. I’ve been involved with music my entire life. I had piano lessons as a kid and started singing in church (my father’s a retired pastor) and in the school choir. I also played trumpet, but the one instrument I stuck at was the drums. I started writing poetry at a young age, and began to combine poetry and music as I got older. CARYS: Pete and I first got in contact through the Beat Inn group on Facebook. He asked me to record a spoken word outro for his new album and I jumped at the chance. This is my first time working with Pete, but I hope to collaborate with him again in the future. CARYS: I’m a bit of a scatterbrain by nature, I don’t really have one specific formula that works for me every time. In terms of collaborating with producers, it varies. Sometimes a producer will reach out to me, often they’ll already have a concept in mind as was the case with Pete, other times they’ll give me free reign. When working on my album ‘The Spaces in the Silence‘, I collaborated with a number of producers and musicians. Some of them I reached out to myself, others contacted me, and others remixed acapella pieces I’d previously recorded. I heard an instrumental I really liked by a producer named Prophet 9 and wrote a verse to it. I emailed him & sent him a video message of me rhyming over it and asked if he approved. He said he loved it, so I finished the track and recorded it. If he hadn’t liked what I did with his track, I wouldn’t have used it. I’m a big advocate of collaboration, but I’m not a fan of the ‘mixtape’ culture where often someone will hear a beat they like and record over it without permission. CARYS: Lately there’s been quite a bit of talk concerning what qualifies as ‘real hip hop’, and what doesn’t, the controversy surrounding Macklemore‘s success at The Grammys being a prime example. For me, ‘real hip hop’ is about respecting the art form, creating for the love of it, being loyal to yourself and not compromising your motives for the sake of success. CARYS: That’s a tough one, because there hasn’t really been anything I’ve heard lately that’s slapped me upside the head and made me think “woah… what just happened?”. That said, I was impressed with Homeboy Sandman‘s ‘White Sands‘. Paul White‘s production really compliments Boy Sand‘s style, and his lyrics are on point as always. I also enjoyed Ty‘s ‘Kick, Snare, and an Idea’ project. CARYS: Via my website carysmaticjones.com. I recently took a hiatus from Facebook and I’m considering deactivating my account permanently, but for now I can be found at facebook.com/carysmaticjones. I’m also on Soundcloud: soundcloud.com/carysmatic, and Twitter: @carysmaticjones. My album ‘The Spaces in the Silence‘ is available for download from carysmatic.bandcamp.com. some more of that #REALHIPHOP knowledge via Killah Trakz. TRAKZ: Peace, my name is Killah (pronounced Kill (ah)) or K allah Trakz. Got into music from my childhood friend and partner in rhyme Brian Goode. In all honesty I just one day started freestyling out of thin air and it stuck. I’ve heard some of my songs got people emotional, even changed lives. I’m Haitian and it’s tough having strict parents who follow a more traditional role in upbringing children in a dominant way, so since I was always in seclusion I kept rhyming. I feel as though this new generation associate my heritage with street credibility, but as artists we’re overlooked and I want to really break that barrier. TRAKZ: I worked with Seattle-based producer Kev West on a project called #IHATEMIXTAPES which did phenomenal in numbers, and I guess Kev and Pete have history and the two spoke of me and now I’m here. This is my 1st time working with Pete. TRAKZ: My writing process ….. If you hear, see, or I reply “WOO!” then the record’s done. 15 mins to write, 30 to record, so an hour of turn around time. And producers usually give me full creative control on what I rhyme about. TRAKZ: Real hip hop is like explaining love. It’s a definition so broad and so wide (pause) there’s no one word or a fair sentence to describe it. So I’ll go with emotions through the beat, the rhymes, and the mood/setting. TRAKZ: Eminem‘s “Rap God” or Busta Rhymes, who always re-invents himself. Between those two but Eminem‘s “Rap God“, sheesh. TRAKZ: go to you favorite search engine and type Killah Trakz and everything would show up on me.